Additionally you can set URL for clicking and some interface elements (skip button etc.). The module is not designed to connect ad networks (please, contact support for this). 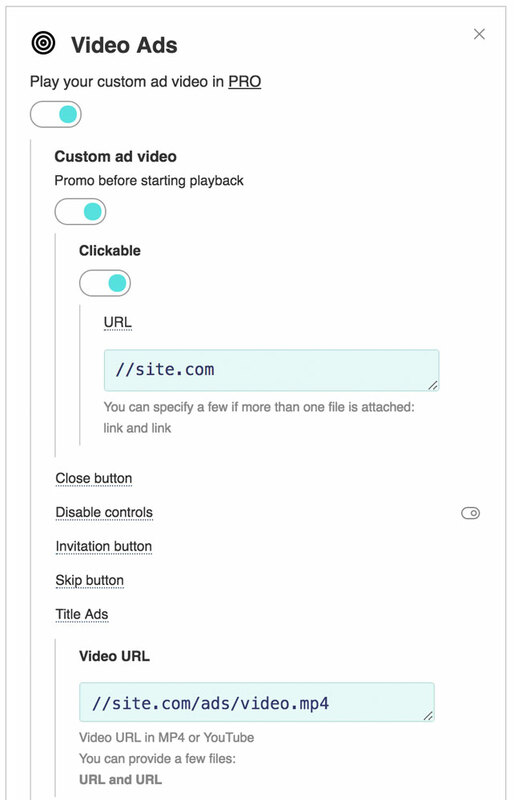 The plugin is intended just for internal advertising (the links to the video and click must lead to the same domain where the player is located), it does not work to connect commercial advertising from advertising networks. To connect ad networks, please, contact support to enable special VAST plugin. You can limit the playback of advertising on various platforms. This works by adding a special parameter to the link in square brackets.